Jessie Villareal, 73, of Beaumont, Texas passed away, Saturday, April 6, 2019, at Baptist Hospitals of Southeast Texas, Beaumont. Jessie was born January 26, 1946, in Port Arthur, Texas to parents, Esiquel Villareal and Eulilia Collazo Ramirez. In his younger years, he enjoyed playing baseball in Port Arthur Leagues. Jessie cherished his family and friends. He treasured friendships with Bobby Avilez, Fred Gloria, and Danny Lozano. His buddies called him “Bud”. Jessie graduated in 1964 from Thomas Jefferson High School, in Port Arthur. Jessie married Lenora Lopez in 1969 and was happily married for forty-nine years. He attended LIT in Beaumont, earning a two-year certificate in auto mechanics. He had worked as an industrial painter at Gulf Refinery and Levingston Shipyard. He was currently employed with Reagant Chemical in Port Arthur with thirty years of service. Jessie was a longtime member of Cristo Rey Catholic Church and St. Jude Thaddeus Catholic Church in Beaumont. He enjoyed watching all sports. Jessie loved his Texas Longhorns and owned many Longhorn memorabilia. You could find him sporting his beloved Longhorn logo shirts, caps, jackets, and his car. He enjoyed listening to country and Mexican music artists like, Freddie Fender, Reba McEntire, George Strait, Vicente Fernandez, and Jose Jimenez. Jessie is survived by his wife, Lenora; daughter, Christina Deskin and her husband, Dennis, of Alabama; son, Anthony Villareal, of Beaumont; granddaughter, Gia Nicole Bishop, of League City; sisters, Guadalupe “Lupe” LeBlanc and Rose Rumsey; numerous nieces, nephews, and cousins. He is preceded in death by his parents; and brothers, Antonio “Tony” Ramirez, Sr., Frank Ramirez, Joe Ramirez, and Luz Ramirez. 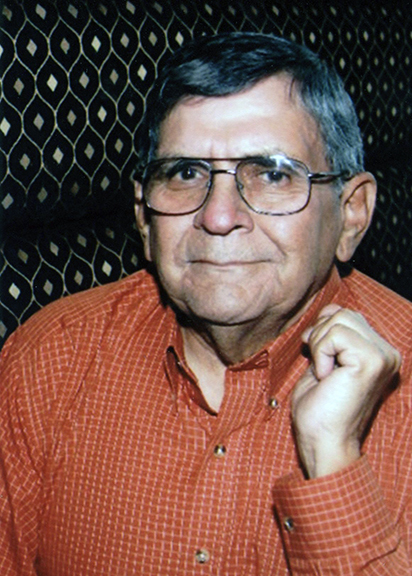 A Rosary for Mr. Villareal will be recited at 6:00 p.m., followed by his visitation, Tuesday, April 9, 2019, at Broussard’s, 2000 McFaddin Avenue, Beaumont. His Funeral service will be 11:00 a.m., Wednesday, April 10, 2019, at Broussard’s. His interment will follow at Memory Gardens of Jefferson County, Nederland. Memorial contributions may be made to St. Jude Children's Research Hospital, 501 St. Jude Place, Memphis, TN 38105 or to an organization of your choice.